An Exhibition of Original Work by Diana Ward, marking Breast Cancer ‘Prevention’ Month launched on Wednesday 17 October. 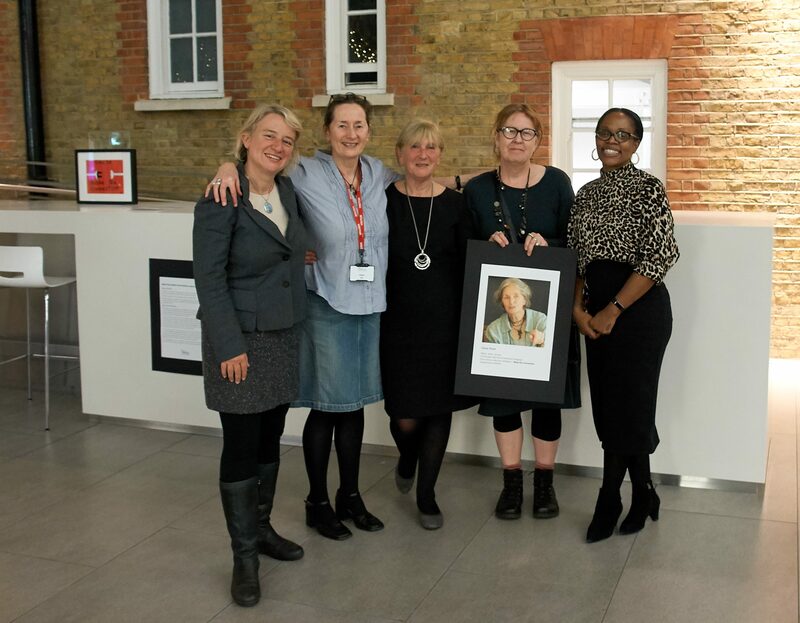 On Wednesday 17 October UNISON hosted with a reception a new exhibition of 23 original cartoon works by From Pink to Prevention co-founder Diana Ward. Diana’s art-work is a unique way into the subject of the politics of breast cancer and it reflects on the decades of scientific evidence linking environmental and occupational risk factors to breast cancer. This was the first public exhibition of cartoon work (23 pieces) by Diana Ward and is organised by the From Pink to Prevention campaign. Diana is a writer, artist and activist who has had cancer patient experiences in the UK and Australia from the early 90s in tandem with more than 30 years experience of campaigning for change on a wide range of social and political issues including education, environment, human rights. Her main interest since 1993 has been the politics and prevention of breast cancer. Diana’s cartoon drawings are an integral and unique public education component of the From Pink to Prevention campaign and are at the heart of our October 2018 work, which takes the title MAKE THE CONNECTION from Di’s cartoon of the same name. The FPTP team are also delighted to continue our work with UNISON for this special event– UNISON’s own campaigning on breast cancer prevention goes back to the 1990s. We think Diana’s extensive collection of cartoons – funny, informative and challenging – offers a unique way to open up the conversation about ‘the elephant in the room’ : why, despite decades of scientific evidence, are we still waiting for the inclusion of primary prevention strategies to tackle environmental and occupational risk factors for breast cancer in national cancer plans and strategies? On the night our speakers included former Green Party Leader Natalie Bennett; Helen Lynn From Pink to Prevention and Moira Adams Challenge Breast Cancer Scotland and Tracey Ayton Harding UNISON . A message of support was read from Helen Hayes MP, who hosted our 2017 October event at Portcullis House Brexit and Breast Cancer. The reaction to the cartoons was overwhelmingly positive as those attending expressed their reactions to Diana’s originality and ability to powerfully communicate through the visual arts on a topic that needs much greater public and political attention. We look forward to sharing these cartoons at more locations in 2019. Contact Deborah@tippingpointnorthsouth.org if you would like to know more.